This is “Liability and Discharge”, chapter 22 from the book The Law, Corporate Finance, and Management (v. 1.0). For details on it (including licensing), click here. In Chapter 19 "Nature and Form of Commercial Paper", Chapter 20 "Negotiation of Commercial Paper", and Chapter 21 "Holder in Due Course and Defenses", we focused on the methods and consequences of negotiating commercial paper when all the proper steps are followed. 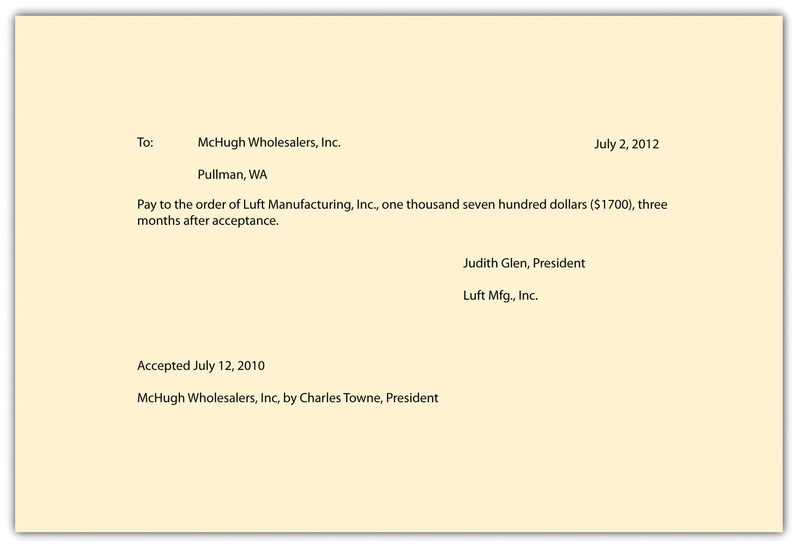 For example, a maker gives a negotiable note to a payee, who properly negotiates the paper to a third-party holder in due course. As a result, this third party is entitled to collect from the maker, unless the latter has a real defense. In this chapter, we begin by examining a question especially important to management: personal liability for signing company notes and checks. Then we look at the two general types of liability—contract and warranty—introduced in Chapter 20 "Negotiation of Commercial Paper". We conclude the chapter by reviewing the ways in which parties are discharged from liability. We discuss here the liability of various parties. You may recall the discussion in Chapter 19 "Nature and Form of Commercial Paper" about accommodation parties. An accommodation party signs a negotiable instrument in order to lend his name to another party to the instrument. The Uniform Commercial Code (UCC) provides that such a person “may sign the instrument as maker, drawer, acceptor, or indorser” and that in whatever capacity the person signs, he will be liable in that capacity.Uniform Commercial Code, Section 3-419. Under UCC Section 3-415, an indorser promises to pay on the instrument according to its terms if it is dishonored or, if it was incomplete when indorsed, according to its terms when completed. The liability here is conditioned upon the indorser’s receipt of notice of dishonor (with some exceptions, noted in Section 22.2 "Contract Liability of Parties" on contract liability of parties. Indorsers may disclaim contractual liability by indorsing “without recourse.”Uniform Commercial Code, Section 3-415(b). Again, when acceptance or payment is refused after presentment, the instrument is said to be dishonored. The holder has a right of recourse against the drawers and indorsers, but he is usually supposed to give notice of the dishonor. 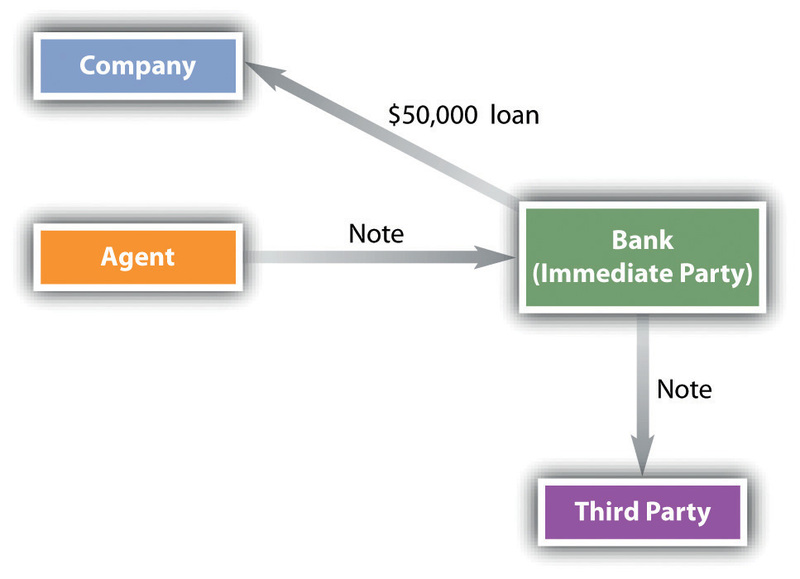 Section 3-503(a) of the UCC requires the holder to give notice to a party before the party can be charged with liability, unless such notice is excused, but the UCC exempts notice in a number of circumstances (Section 3-504, discussed in Section 22.2 "Contract Liability of Parties" on contract liability). The UCC makes giving notice pretty easy: it permits any party who may be compelled to pay the instrument to notify any party who may be liable on it (but each person who is to be charged with liability must actually be notified); notice of dishonor may “be given by any commercially reasonable means including an oral, written, or electronic communication”; and no specific form of notice is required—it is “sufficient if it reasonably identifies the instrument and indicates that the instrument has been dishonored or has not been paid or accepted.”Uniform Commercial Code, Section 3-503(b). Section 3-503(c) sets out time limits when notice of dishonor must be given for collecting banks and for other persons. An oral notice is unwise because it might be difficult to prove. Usually, notice of dishonor is given when the instrument is returned with a stamp (“NSF”—the dreaded “nonsufficient funds”), a ticket, or a memo.